You must be a current member of Forest Crest Athletic Club. You must be over 21 years of age and not playing on a collegiate team. Forest Crest currently has two teams representing two levels, Emerald Cup and Rainier Cup. 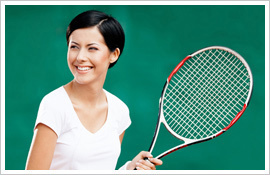 For more information, please visit http://cuptennis.com/. Contact the club if you are interested in joining a team.